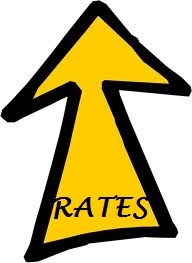 The 5-year fixed rates continue to ascend this week. The 5-year rates are now at 3.59% which is a far cry from the 2.79% and 2.89% that we were seeing only a couple of weeks ago. If you have a pre-approval and rate hold in place, time may not be on your side as you could see your interest rate increase as much as 0.80% if you purchase after your rate lock ends. Also keep in mind that this differential could grow if rates continue to rise. We expect to see an increase in activity despite the summer market being upon us as a result of the change in rates. As we near the 1% difference between rate lock and current rates buyers begin to see a subtle change in their affordability which will push many of the low-motivation buyers to jump into the market unless the rates slip in the coming week(s). Please contact Dale or me today if you have any questions and/or are ready to make your move. There is no time like the present! The Bank of Canada once again opted to leave its overnight target rate at 1 per cent. This means no change to rates for those of you on variable rate mortgages. Unless inflation unexpectedly takes off, we are unlikely to see these rates increase in 2013.